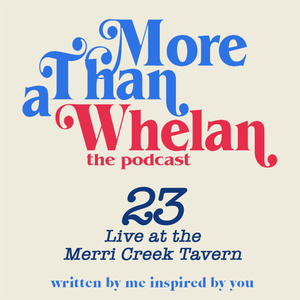 To launch Season 2 of More Than A Whelan the show was recorded before a live audience, for the very first time, at the Merri Creek Tavern in Westgarth. All DOG themed. Last year musician Ben Mastwyk was our guest on the last episode of Season One. I interviewed him in his Collingwood living room and he spoke of his beloved golden retriever Bea as being his co-writer. As Bea would guide him on their walks together to places and thoughts that would inspire the writing of his songs. Very sadly Bea passed away early this year after a long beautiful life, loved and admired by many, especially her guardians Ben Mastwyk and Rhiannon Hardingham. 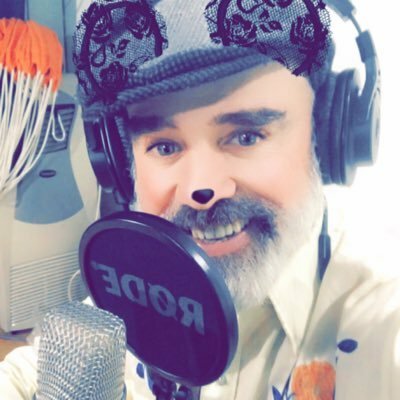 It was Ben Mastwyk who approached me with the concept of presenting the first episode of More Than A Whelan in 2019 as a live show and to dedicate the entire show to DOGS. And I am SO happy he did. And thus More Than A Whelan presents Now I Wanna Meet Your Dog was born! This was truly one of the greatest experiences in my life. Something magical happened in that luscious performance space at the Merri Creek Tavern on Wednesday 6th February. So much show that we plan to make live shows a regular occurrence now. Keep watching this space for details. A raffle was held on the night with very generous support from our very first official sponsor the wonderful Luxe Country! We decided to donate all the proceeds from the night to a wonderful group called Team Golden Oldies who adopt old unwanted dogs and give them all the love they deserve in their twilight years. Please visit them online as they sell wonderful items that help them to pay for the cost of keeping these dogs. Their vet bills alone were over $12500! Through the raffle on the night we managed to raise $200 for them. We are very excited and grateful for the support of Luxe Country, our very first official sponsor. You can visit our online store right here! For the moment you can look pretty damn cool in a More Than A Whelan or Now I Wanna Meet Your Dog cap, more stock including t-shirts will be added soon! And thanks to the generosity of Luxe Country all proceeds from the sales will go directly to More Than A Whelan. So your purchases will help to keep us producing this show. Visit the store now! I began the show by reading a poem by Ted Koozer called ‘The Death of a Dog’. I then welcomed our first guest of the show, Jadan Carroll, author of Definitely the Best Dogs Of All Time, illustrated by Molly Dyson. We focused on just a few of many of the different famous dogs from throughout the history of the world, including the fascinating story of a poodle called Masterpiece, covered in more detail in an episode from a wonderful true crime podcast called Criminal. We also spoke about the story of Hachikō, a dog who spent nine years waiting at Shibuya station in Japan waiting for his master who had died. And lastly we touched on the hilarious dog Riley who is famous for becoming a meme. The wonderful Amarillo were our next guests, who began by performing an exceptionally wonderful song called Lemonade from their album Eyes Still Fixed. Kelly Day (Broads) joined us next for a performance of a song called What Kind of Beast Is This from Broads self titled EP. We are very excited for the impending release of their new album and will have both members of Broads as guests on the podcast in the not too distant future. Following Kel’s wonderful performance I read an incredible poem by a poet recently departed from this world, Mary Oliver. The poem is called Her Grave. There is in fact a collection of all her poems on dogs called Dog Songs. Justin Bernasconi is one of Australia’s finest guitarists. He first performed a song called Puppy Blues from his album Barefoot Wonderland. I was then extremely honoured to have him accompany me, completely unrehearsed, for a poem I wrote especially for the evening called Dogs Know the Secrets of the World. Because why would you be anything else? and they try to deliver them to us all the time. We take the secret of the world and we gaze upon it trying to decipher its code but a mangy old tennis ball covered in slobbery spit is a difficult code difficult to decipher. We hold the very secret of the world aloft and fling it back into the world. And then the secret is delivered back to us by the most loyal of creatures. And that’s why to quote, what I believe is the greatest song ever written by Australian band The Fauves, Dogs Are The Best People. They make us involuntarily smile. They make us voluntarily smile. They are they always there at the opening of the door. they return us to the state of a child. In the past, in the present and the future. In my most secret of secret worlds. I am always a dog because why would you want to be anything else. Following Justin Bernasconi I welcomed to the stage poet superstar Emilie Zoey Baker. EZB had the entire room in stitches with a poem she wrote exclusively for this event called 14 Reasons Why Dogs Are Cooler Than People. A clip of this performance is available to watch on the More Than A Whelan Facebook page. Previous guest on More Than a Whelan (Episode 22) was our next performer on the night and delivered an incredibly touching and beautiful tribute to the dear departed Bea, as Golden Firelight was the last song they wrote together by the Yarra River. The incredible Van Walker, accompanied by Mitch Dylan closed the night with two original songs on dogs. The first called Happy Dogs was only just released earlier this year through Green South Records. The second was a song called Timbuktu. I want to profoundly thank all of the performers and audience members, including our two special guests golden retrievers who came along, Stan and Lulu for making this such a night to remember. 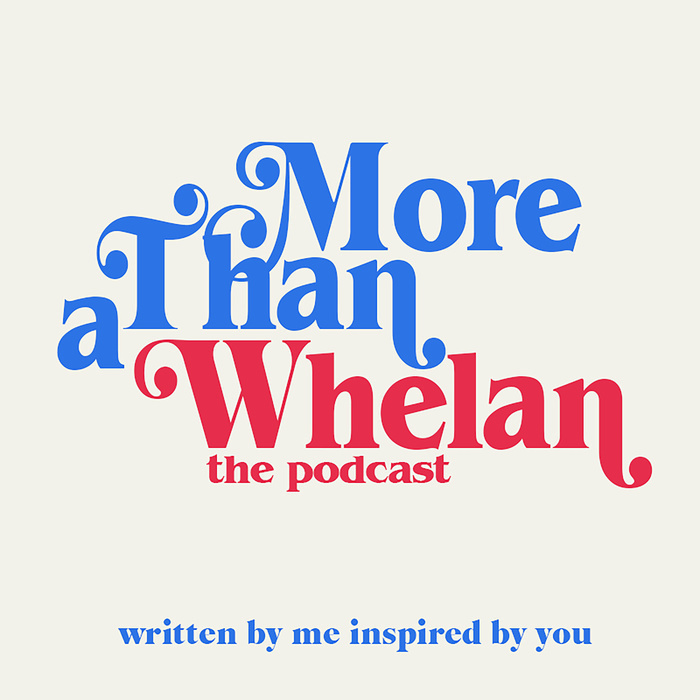 The inaugural More Than A Whelan show is just the beginning. The next live show will be on Wed May 1st at Merri Creek Tavern. Put it in your diary now!